Being a musician is a beautiful experience that I wouldn’t trade for the world and one I take very seriously. Sometimes, we can be placed in these “lanes”. On a personal level, I would be classified as a R&B artist. To some extent, u can confuse or sometimes even anger your supporters when u make the decision to switch up your style. So, for my debut album, I decided not to stick to one genre of music. There are pop, Jazz, house, R&B, and neosoul elements represented in my album BUT the most well received track on my album is a house track called LAND ON MY FEET. The song has a synth driven house beat and early 90’s pop vibe. Pairing a mixture of mellow yet upbeat vocalization along with smooth harmonies has seemed to be the secret if this songs success. Although the song describes a harsh breakup, it alludes to ability to pick up and move on despite infidelity. I am extremely grateful for the accolades this song has received from many different avenues. 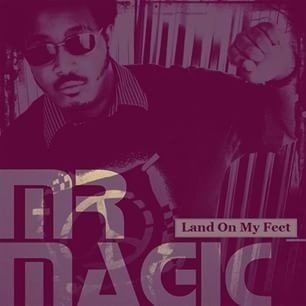 In September 2014, less than a month after it’s release, LAND ON MY FEET was feature on numerous releases by Coast2Coast Mixtapes including R&BStars Vol.15, PopStars Vol.8, MakingMoves Vol.388, and the remix of LAND ON MY FEET was featured on EDMStars Vol.10. It has received spins on Beyond the Dawn online radio, WATJ Actone Jazz in New Jersey, BBC Introducing in Manchester UK, but I want to give special thanks to DJ Omega Black and Requaya Ward for the frequency they have played my song on WRFG 89.3 weekend house music show Early Morning Moods & Grooves in my hometown of Atlanta. On January 16th of this year, it was added to an R&B compilation called NIRVANA produced by DeCarlos Askew of Nashville which was such an honor given the amazing list of accomplished indie artist featured on the compilation. This past Wednesday, I was awarded an Akademia Music Award for my whole album “Peace & Love” which, in large part, I attest to the success of LAND ON MY FEET. I am grateful and humbled and I will continue to create great music JUST FOR U GUYS!! !